Swiss Belts with Appenzell Accents. 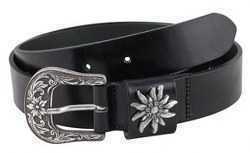 For best belt sizing, measure the total length of your favorite belt. 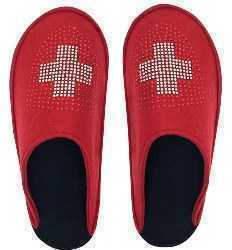 The red felt slipper has a sparkly Swiss cross/Swiss shield design on the toe. 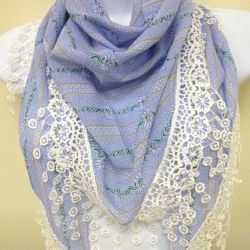 Non-slip bottoms. 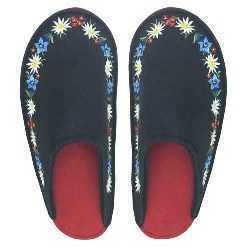 Black felt slippers with embroidered Alpine flowers. Non-slip bottoms. 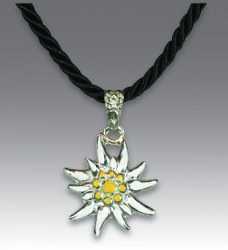 Buckle and belt have Edelweiss accents. Order by your waist size.